Family care can start from the very beginning. Babies can benefit when their pregnant mothers receive chiropractic care. During this period of weight gain and hormonal changes, many mothers seek chiropractic care and often report easier births. Newborns, infants, and children can benefit, too. The birth process may be the cause of our first subluxation! Then learning to walk, ride a bike, or play sports can produce so-called growing pains. Ignored, these problems can worsen until they become more difficult to correct as an adult. 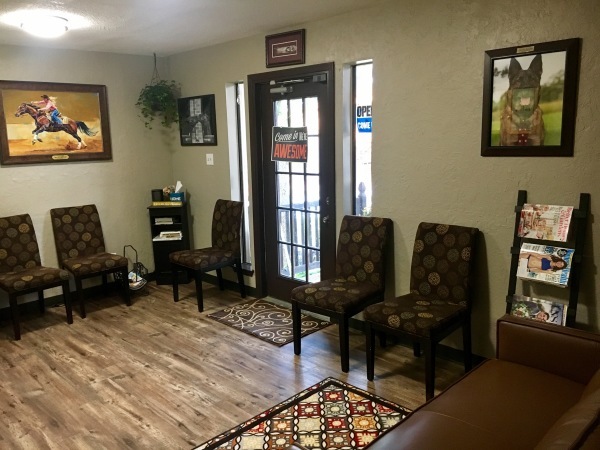 The stress and strains of our busy lives can produce subluxations, which is why periodic chiropractic checkups can be helpful. Many patients report more energy, vitality, and better overall health when under chiropractic care. 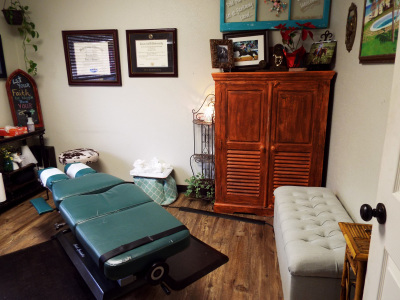 Chiropractic has been shown to be extremely effective in helping people with back pain, but that is a small fraction of what it is we actually do. The avenue of approach that we take to affect a change on your body is via your spine. A doctor of chiropractic works with the nervous system, the skeletal system, and the muscular system. The nervous system not only controls nerve impulses, but also controls hormones, chemicals, and every tissue, gland, and organ in your body. Chiropractors do not claim to cure anything. Instead, chiropractors keep the interference away from the spinal cord to allow the body to help itself and function at 100%. By allowing this system to function at its optimum level, patients enjoy better overall health and well-being. Chiropractic is about helping people live healthier, fuller lives. Chiropractors focus on the nervous system and painlessly adjust the vertebral column to affect the nervous system. According to Gray's Anatomy, the nervous system is the master system in the body which controls and coordinates all other systems such as respiratory, digestive, muscular, and immune. The techniques of chiropractic work to remove stress to spinal nerves. 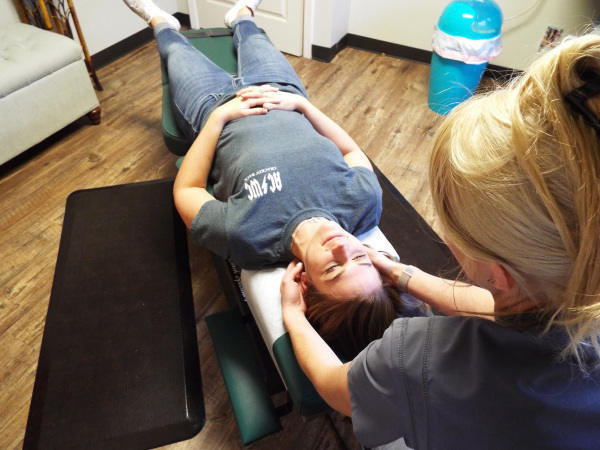 Spinal nerve stress or pinched nerve (subluxation) interferes with the proper functioning of the nervous system, and in turn can weaken the immune system, cause pain, and reduce the body’s ability to work properly. However, when the nervous system is free from disturbances, it can heal the body on its own. 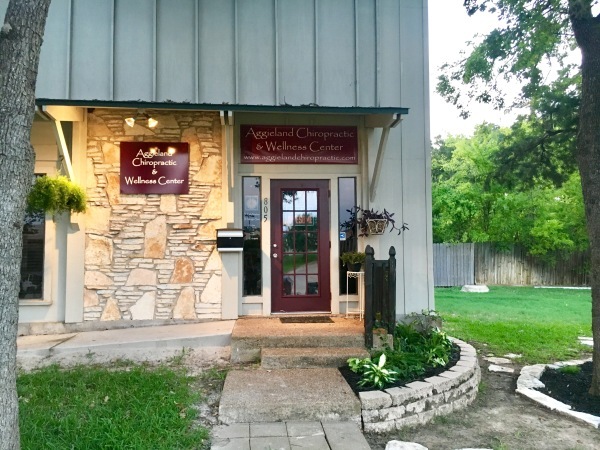 ​​Chiropractic Adjustments- A chiropractic adjustment is the art of applying a precise force in a specific direction to a joint that is fixated and not moving properly, which may be irritating your nervous system. This restores motion to the joint, helping it gradually return to a more normal position and motion. The result of this safe and natural procedure is improved spinal function, nervous system function, and overall improved health. Dr. Newbern uses a compilation of several different techniques, giving her a more diversified approach. She believes that every spine is unique and the technique that may work for one patient may not be the solution for another. Manual Adjustments- These techniques include hands-on adjustments of the spine and extremities, traction techniques, and muscle therapies. Often, there is a noise that accompanies this type of adjusment, which represents gas painlessly moving within the joint. Flexion-Distraction- A specialty technique that performs spinal decompression. This is used to treat disc problems, facet syndrome, stenosis, arthritis, lower back and leg pain, muscle tension, and scoliosis. This technique can be highly effective, even in cases that have been resistant to many other treatments. Activator Method- ​ This is a low-force technique designed to deliver a safe and comfortable measure of force to move a bone or make an "adjustment". This technique is highly researched and proven to be effective in treating many different problems. Thompson Technique- This is a full-spine adjusting technique that emphasizes high-velocity, low amplitude, and some low-force procedures by using a drop table as an indispensable adjunct. The adjustments are considered to be low-force and high-velocity. Electrical Muscle Stimulation- Used in muscle re-education, strengthening, and pain relief. It increases blood flow, reduces edema, relaxes muscle spasms, increases joint flexibility, and promotes soft tissue healing. Tiny amounts of electrical impulses are induced into the tissues in the vicinity of the injury. Where these tiny waves intersect, a low-frequency stimulation is created. This prompts the body to secrete endorphins and other natural painkillers to help relieve pain. Microcurrent Therapy- Uses very small amounts of electrical current (millionths of an amp) to relieve pain and heal soft tissues. An injury to the body can disrupts its normal electrical activity. Microcurrent therapy produces electrical signals like those naturally occuring when the body is functioning properly. By applying similar electrical currents, the healing process is enhanced. Ultrasound- Used to decrease inflammation, promote tissue relaxation in tight muscles, increase circulation, and speed up the healing process. Mechanical Traction- Used to re-establish curves of the spine, facilitate distraction of joint facets, reduce muscle spasms, edema, and tissue congestion, plus it reduces fibrotic tissues and adhesions. PNF Stretches- Designed to rehabilitate or re-establish functional integrity to joints, muscles, or the surrounding areas. Used to increase flexibility, strength, endurance, and coordination of movement. of balance, strength, range of motion, or other functional activities. Kinesiology Taping- Used for increasing range of motion, decreasing inflammation and decompressing muscles. Used for structual and postural issues, pain management, and increased performance.